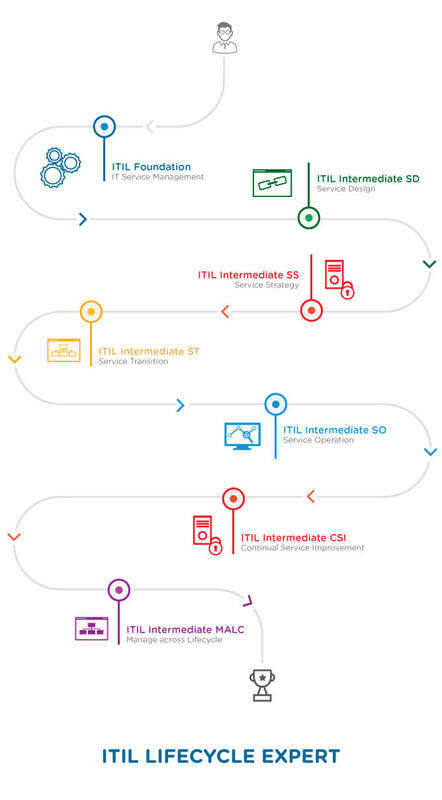 The ITIL Expert Lifecycle Stream Program has given me a better understanding of ITIL process. I’ve learned new techniques and metrics that will help me to streamline, improve and add a process.The training material is extremely thorough and well-planned out. Thank you Simplilearn! IT service management knowledge has always played an important role in my professional career goals. I took up the ITIL Expert Lifecycle Management Program by Simplilearn and it has enabled me to comprehend the IT Service Management processes and manage the IT Service Lifecycle effectively. I am confident that this certification I obtained from Simplilearn is going to provide me with new, exciting and better job opportunities. With the knowledge and skills gained from Simplilearn’s training, I am able to implement the methodologies in Incident & Change Management at various stages of our project. I now guide my team using the global practices of ITIL and this has resulted in a lift in the quality of services offered to our clients. I took up Simplilearn’s ITIL Expert Lifecycle Stream Program and I must say that the course content was comprehensive and covered all the important topics in IT service management. My design and operation skills were enhanced to a great extent. I took up online self-learning sessions and the material was precise and adept. The support staff were also incredibly helpful and provided help 24*7 to mitigate any problems.Overall it was a great learning experience at Simplilearn! Yes. Exam fee is included for the all the intermediate module courses included in the learning path.